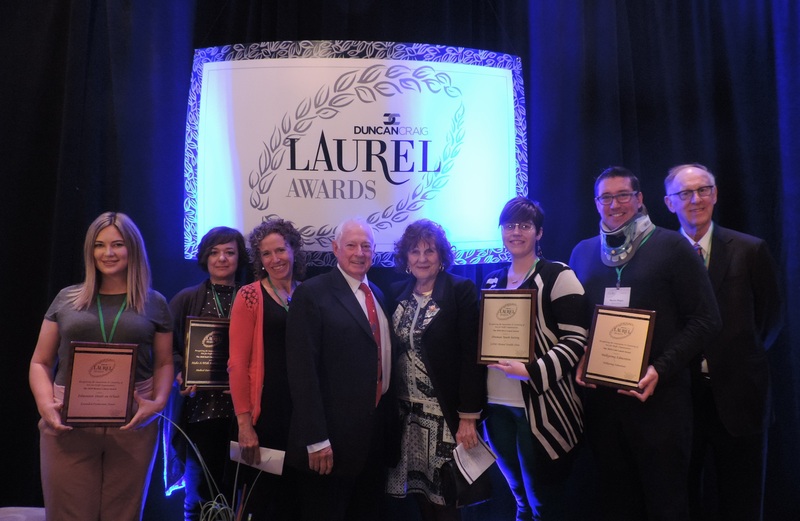 Thank you to everyone who attended the 2018 Laurel Awards on September 12th. To celebrate 100 years of continuous legal practice, in 1994 Duncan Craig LLP developed the Laurel Awards. The program recognizes the innovation, creativity, achievements and success of Edmonton area not-for-profit organizations. The keynote speaker, Kathy Hawkesworth, Director of Donor Services of the Edmonton Community Foundation, presented the Gold Laurel Award, Minister Ricardo Miranda presented the Silver Laurel Award and City Councillor Jon Dziadyk presented the Bronze Laurel Award.